Arimnestos is a farm boy when war breaks out between the citizens of his native Plataea and and their overbearing neighbours, Thebes. Standing in the battle line - the wall of bronze - for the first time, alongside his father and brother, he shares in a famous and unlikely victory. But after being knocked unconscious in the melee, he awakes not a hero, but a slave. Betrayed by his jealous and cowardly cousin, the freedom he fought for has now vanished, and he becomes the property of a rich citizen of Ephesus. So begins an epic journey from slavery that takes the young Arimnestos through a world poised on the brink of an epic confrontation, as the emerging civilization of the Greeks starts to flex its muscles against the established empire of the Persians. 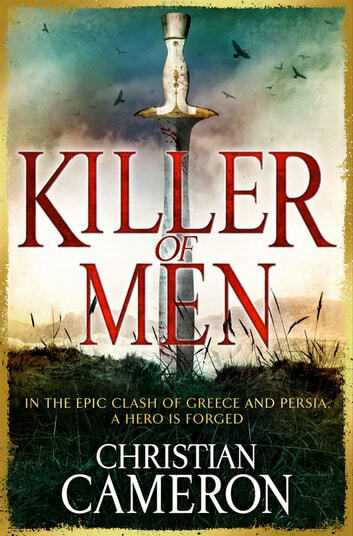 As he tries to make his fortune and revenge himself on the man who disinherited him, Arimnestos discovers that he has a talent that pays well in this new, violent world, for like his hero, Achilles, he is 'a killer of men'. Got better as it went along. 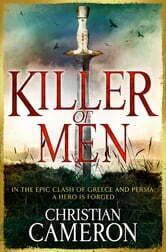 A thoroughly well written and researched tale of the ancient Greeks, their city states, their constant little wars and the occasional large ones. Christian Cameron has done it again.